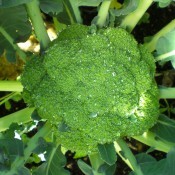 The modern world received broccoli from Italy, where it has been a favourite food since the days of the ancient Romans. For centuries, it was only known in the Mediterranean, but in the 1500s, it was introduced to France and about 1720 to England. It wasn’t until 1920 that a group of Italian vegetable farmers in California decided to ship a trial supply to Boston and it was an instant success. 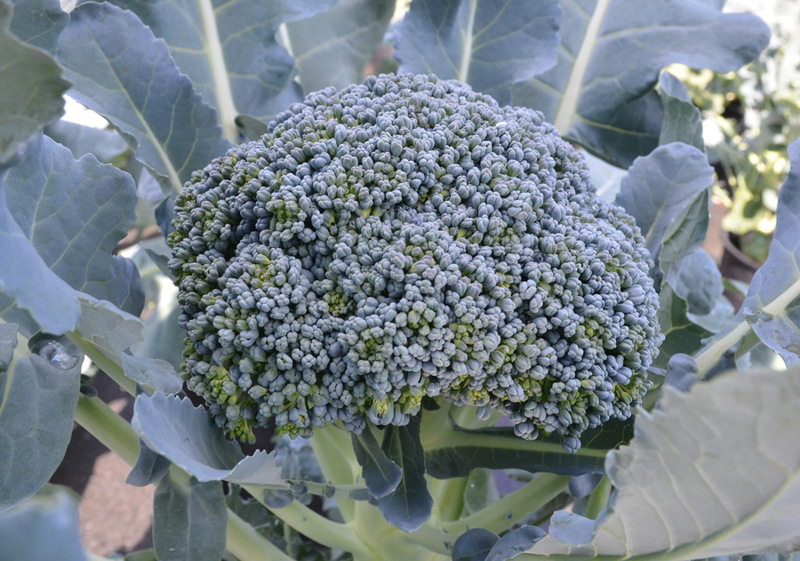 Broccoli is a cool season crop and belongs to the cole crop family which includes cabbage, Brussels sprouts, cauliflower, collards, kale, and kohlrabi. It is a great companion to beets, lettuce, calendula, and nasturtiums. Do not plant with beans, tomatoes, peppers, or strawberries. Like other members of the cabbage family, broccoli is considered helpful in the prevention of certain types of cancer. Broccoli is an excellent source of vitamins A and C and is also high in calcium, iron, vitamin B6 and potassium. It’s low in calories-each cup of cooked broccoli has only about 40 calories. Harvest the main head when the buds are tight and compact and well before flowering occurs. To do so, cut the center stalk at an angle below the main head and avoid damaging the side shoots. This will encourage further heads to set and help prolong the harvest. Flowering will signal an end to head production. Store in refrigerator for about one week. Emerald Crown is very uniform, compact, heavy and dome-headed with small to medium dark blue-green beads. A favourite market variety because it has high yielding crown cuts with a short trim. Emerald Crown handles warmer weather well allowing for later spring harvest and summer harvest. Heads resist purpling (Anthocyanin) in cooler weather.